There’s nothing quite like the independence that comes with having your own set of wheels on vacation. It sure beats surrendering to the confines of a crowded tour bus or the whims of public transport. Unfortunately, renting a car overseas isn’t always easy as it often entails surprise speed bumps, from unfamiliar road rules to confusing rental contracts with pages of fine print. We're here to help with our 10 international car rental tips, a quick “how-to” reference guide to getting the most bang for your buck, with the least headache involved, while abroad. Whether you plan to zip around Paris in a Smart car, explore New Zealand’s countryside by campervan, or cruise along an exotic coastline via convertible, we’ll give you the green light to rent confidently on your next big road trip. Use our Travel Search price comparison tool to find the lowest rates on flights, hotels, packages, car rentals, and more travel deals. Plan to book your international car rental well before embarking on your trip – at least a week in advance, but sooner is better. Not only is it oftentimes cheaper, but you’ll have time to negotiate any potential obstacles (like age requirements), are more likely to get the type of vehicle you want, and are less likely to encounter hidden clauses in on-the-spot contracts, shifting exchange rates on arrival, or vexing language barriers that can slow the process in person. If you made your reservation online months ago, always call the particular pickup location of the arranging agency just prior to your departure to verify that your desired car will indeed be waiting on the lot for you when you arrive. It's also worth checking in on last-minute car rental rates a day or two before your reservation, as we've seen occasional cases where rates do drop – you can always then negotiate the better rate should one arise. With stateside pumps hitting a jaw-dropping $4-plus per gallon this spring, it’s hard to believe that gas prices are even higher elsewhere in the world (thanks, global oil crisis!). Europe boasts the most staggering fuel fees, with Istanbul, Oslo, and Amsterdam leading the pack at over $9/gallon (there’s a reason the latter is referenced as the bike capital of the world), along with London and Berlin, where petrol recently spiked to over $8/gallon. On the other hand, expect to pay only 6 cents per gallon in Venezuela, and around $1/gallon in the Middle East (both major oil-producing areas). With prices everywhere in flux, it’s important to figure out how much you’ll need to budget for fuel during your trip. Use Trip Calculator (www.tripcalculator.org) to trace your intended route on a map anywhere in the world and, by adding in local fuel costs and your rental vehicle’s gas mileage, tally the total cost from points A to B. Oh, and don’t let rental companies sucker you into pre-paying for fuel on international car rentals. Though the gimmick saves you the hassle of re-filling the tank yourself at the last minute, you usually end up buying more gas than you'll actually need unless you drain the tank completely before returning the car (and that’s always a risky move!). In general throughout the rental industry, the longer you rent, the less you’ll pay per day. A la carte daily rental rates can be quite high, so booking weekly is usually the best bet for easing the burden on your wallet and getting the most motor for your money. Still only looking to rent for just a few days? How about by the hour? If so, avoid the hassle of insurance, tank re-filling, and lease payments courtesy of Zipcar (www.zipcar.com), a U.S.-based alternative rental company with locations in Canada and London, offering everything from BMW’s to pickup trucks for “self-hire,” by the hour or day, 24 hours a day, 7 days a week. Members (annual rates do apply and vary by destination), known as “Zipsters,” pay only for the hours they actually use the car, with international car rental rates starting from under $10. For lengthier terms (a month or more), look into leasing; rental companies that lease vehicles for extended periods, like Europe by Car (www.europebycar.com), often utilize new cars for the purpose, and include taxes and collision insurance to sweeten the deal. If you’re traveling overseas to an English-speaking country, a valid American driver’s license should suffice. Otherwise, you’ll likely need an International Driving Permit (IDP), sold at local AAA (www.aaa.com) offices nationwide, which translates your regular license into 10 different languages and is officially recognized by 150-plus countries. To obtain an IDP (valid for one year), you’ll need two passport photos with your signature on the back, a copy of your state-issued license, $15 for the permit fee, and a completed IDP application (found on AAA’s website). The whole process only takes a few minutes in person, though allot up to 6 weeks if applying by mail. Note: The IDP must be issued in your home country, and is only valid abroad when presented with your U.S. license. Some destinations, like St. Kitts and Nevis in the West Indies and China, require international drivers to register for temporary local licenses on arrival (for an extra fee). Check with the embassy of the country you’ll be visiting (www.embassy.org) or the U.S. State Department (travel.state.gov) to find out more about specific policies. Pops never taught you how to drive a stick? Now’s a great time to learn! Most international car rentals, especially in Europe, come with manual transmission, so rental companies in many regions tend to dole them out first by default. No one wants to be stuck with a car they can’t drive, so make sure and clarify this major (but occasionally overlooked) detail before buckling up. Chances are, you’ll end up paying quite a bit extra (as much as $50 to $200 more per week depending on demand, availability, and vehicle type) for the ease of an automatic. That said, the splurge is probably worth it if you know you’re going to be driving on very hilly backcountry roads (Europe has swaths) or in congested inner-city areas and are not 100 percent confident in your clutch abilities. 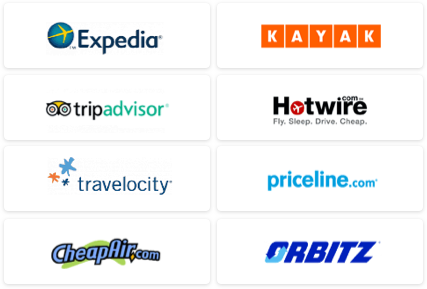 Use our Travel Search price comparison tool to find the lowest rates on flights, hotels, packages, car rentlas, and more travel deals. Even if you’re a cautious driver with a squeaky-clean record, you should pack some sort of accident protection before jumping behind the wheel abroad. Auto insurance policies at home usually don’t cover overseas rentals, so you’ll need to seek an appropriate alternative. Rental agencies often promote a variety of confusing and excessive “optional” policies, and only offer minimal (if any) insurance as part of the basic agreement. The trouble is deciding how much coverage you'll need – and at what cost. As a rule, know what coverage you have to begin with before approaching the counter. Took out travel insurance? Check to see if it includes rental cars, and if so, to what extent. Happily, some major credit cards include secondary auto insurance on international car rentals as a free perk for the primary driver, but watch for red tape: You must use the card when booking; policies can exclude certain vehicle types or countries and claims, if filed, are often subject to numerous stipulations. If none of your existing insurances adequately apply, only then take out an agency’s Collision Damage Waiver upon booking (avoid any plans that include the word “super” . . . they’re unnecessary). The CDW alone may tack on $15 a day to your bill, but will typically protect you (financially-speaking) in case of most incidents that involve damage. Otherwise, as with pre-paying for gas, you’ll waste your money doubling up on extra coverage that you don’t really need. Finally, be sure that your policy, whatever the source, meets the foreign country's minimum coverage requirements (though some countries don’t require insurance at all, you should still invest in it). Camper or convertible? Sports car or sedan? Don’t just opt for the cheapest clunker in the lot -- choose what vehicle best suits your vacation needs. Driving far? Good gas mileage is paramount – and shelling out a bit more on a fuel-efficient car like a Prius could save you big in the long run. Loads of luggage or family in tow? Better get an SUV (note here that European cars are often much smaller than their American counterparts). Resist being tempted by free upgrades, which international car rental companies may offer when compact cars are in high demand, unless you’ll benefit concretely from the larger or trendier vehicle. It can also help to rent a vehicle similar to what you have at home so you’re more comfortable in the driver’s seat on strange roads. Did you know camels have the right of way in Dubai? Or that you could face jail time in London for getting into a car accident while on your cell phone? Before even getting in the car, acquaint yourself with the local road rules first. There are often many major differences to heed – from converting to the metric system to operating on the other side of the road – that can make driving in another country an entirely different experience than what you’re used to. Some nations have unique traffic conventions, street signs, and road layouts not found anywhere else – so pay close attention to such idiosyncrasies. Be aware of the basics – like if it’s OK to turn right on red and who has the right of way – as well as other legalities, like alcohol limits (some countries, now including Russia, have zero-tolerance policies) and minimum (and maximum) age restrictions for renters. Obtain a hardcopy of the country’s driving laws to carry with you from their embassy, tourism office (www.towd.com), or your international car rental agency (just don’t count on the clerk to always clue you in). Fact: Car crashes are the number one cause of death for U.S. travelers abroad – and it’s no accident. Unfamiliar terrain, different rules, and roads that are more taxing than those in the States are often to blame . . . that’s why it’s best to play it as safe as possible. When asking for directions, pinpoint the safest routes, not just the quickest (hey, the road-less-traveled is oftentimes more scenic anyway). And don’t forget a map! Most international car rental agencies offer GPS units for hire for $10 or so a day. If you have a GPS (like Garmin or TomTom), you can purchase a variety of international maps online and download them directly to your device, but it’ll cost you (as much as $100-plus per map – yikes!). If you’re sans a navigation system, having a co-pilot to help you find your way is a major plus. Ireland, for instance, is notorious for having countless (and sometimes nameless) narrow winding streets that can be hell for non-locals to maneuver, prepared or not. Consult the State Department’s tips on “Road Safety Overseas,” which include country-specific info pages detailing driving laws and road conditions (travel.state.gov), or visit the Association for Safe International Road Travel (www.asirt.org) for up-to-date driving reports for over 160 countries. All the big U.S. rental companies (Alamo/National, Avis, Budget, Dollar, Hertz, Thrifty) have branches throughout Europe and many other international locales; and the bigger the company, the more likely it is to have more locations for pickups and drop-offs. Per usual, hit the ’net for the best deals. 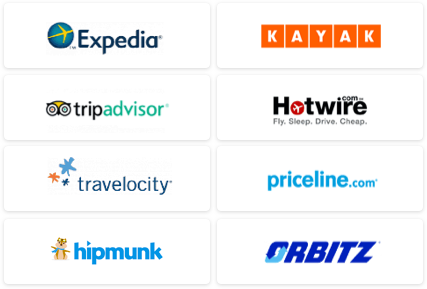 Shop around on sites like Expedia, Priceline, Travelocity, and Kayak, then compare the prices you find to the agency’s own stated rates. Better yet, search multiple sites in one shot by using our Travel Search price comparison tool – you can find car rentals at rates of up to 70 percent off; or, peruse our general car rental deals on ShermansTravel.com. While it can be cheaper to arrange your rental through a third party, like Auto Europe (www.autoeurope.com) or CarRentals.com (www.carrentals.com), booking via consolidators versus directly with an agency can potentially make for middleman hassles if you run into any issues out on the road. Call and inquire about weekend specials, rebates, and other promotions; most agencies offer discounts for frequent flyers of certain airlines and credit card holders, as well as markdowns for senior citizens and AAA members. If you plan to rent on a regular basis, save money by joining a company’s rental club (usually free) – you’ll nab a number of perks, like free rental days, air miles, and more.